To achieve academic excellence and intercultural competence through language immersion education. The vision of the school is to become a model of students acquiring superior second language skills as the basis for high overall academic achievement; develop the knowledge and skills in students necessary to be productive and valued citizens in a culturally diverse, global economy; prepare all students to be academically successful in their choice of secondary and post-secondary education options; and to create an innovative school that can be replicated in Colorado and nationally. The Board of Directors meets on the third Tuesday of each month from 6:00 – 8:30PM at the Gilpin Campus, 2949 California Street, Denver CO 80205. Carter's interest in international education was sparked during a summer in Spain in high school. That experience led her to obtain a BA in Spanish and Foreign Affairs from the University of Virginia. After graduating, she worked in the International Education Office at Virginia Commonwealth University where she was able to travel through Latin America as an international student recruiter. Carter and her husband then moved to Denver for her to pursue an International MBA and Master's in International and Intercultural Communication at the University of Denver. Since graduating from DU, she has spent the last 10 years working in the language services industry as a business development executive helping corporations manage their global expansion efforts. She is very excited to join the Denver Language School community both as a board member and parent now that her son is a student in the Spanish program. Rebecca is very excited to be joining the Denver Language School board. She has two children in the Spanish program and really enjoys seeing them grow as part of the DLS community. Rebecca is a certified public accountant with over 20 years of public accounting experience. She works closely with her clients and provides a wide array of services, including tax compliance and planning for multi-national corporations and individuals, as well as assisting with complex ASC 740 calculations and footnote disclosures. She received her Bachelor of Arts in Accounting from the University of Minnesota and her Master of Taxation degree from the University of Wisconsin-Milwaukee. She is currently employed by Hein and Associates LLP. Rebecca is a room parent for both of her children’s classrooms and is active on a number of non-profit boards. She is the former President of the Denver Chapter of the American Wine Society and is currently serving on the Board of Trustees of Historic Denver, and on the finance committee for Project PAVE. Lisa Peloso is a mother of twins in the Mandarin program at the Denver Language School. Lisa graduated from Connecticut College in New London, CT, with a Bachelor’s Degree in Spanish and Social Welfare. During her undergraduate studies, Lisa spent a semester in Bogota, Colombia, where she lived with a Colombian family and studied at La Universidad de los Andes. Lisa went on to receive her Master’s Degree in Social Welfare from UC Berkeley. Following graduate school, Lisa worked in the San Francisco Bay Area for over 10 years as a social worker in both direct services and program management. Since her kids started at the Denver Language School in 2011, Lisa has been a very active volunteer in the school’s community. She has served as the PTA president, volunteer coordinator and room parent, and has helped with numerous school programs such as Penny Harvest, the English, Spanish and Mandarin libraries and the school’s green initiatives. Josh Lin is the English Pastor of Chinese Evangelical Church of Denver, a Chinese immigrant church in the Denver metro area. As a pastor, Josh has been immersed in the Asian community of Denver working with families and individuals, offering the best he can as a cultural exegete. Josh grew up in Houston, TX and attended the University of Texas at Austin for undergrad, studying Speech Communications. After graduation, he worked for a few years as a stock broker in Austin. He went on to spend 4 years on staff with InterVarsity Christian Fellowship working with a large Asian-American campus ministry. Josh then moved to Chicago to work at a Chinese immigrant church, first as the youth director, and later the English pastor for 5 years. Afterwards he studied at North Park Seminary pursuing his Masters of Divinity. Josh came to the call of being the English Pastor at Chinese Evangelical Church of Denver in Nov 2010. Corelle is an attorney in Denver, working as a Senior Assistant Attorney General within the Health Care Unit of the Office of the Colorado Attorney General. In that role, she represents the Colorado Department of Public Health and Environment and the Colorado Department of Health Care Policy and Financing on a full range of health-related enforcement, regulatory, procurement and compliance matters. Outside of her professional endeavors, Corelle is also an active community member who contributes her time to organizations such as the Denver Women’s Commission, the Colorado Supreme Court Character and Fitness Committee, Law School Yes We Can Mentorship Program, the Colorado Ovarian Cancer Alliance, and the Colorado Hispanic Bar Association, to name a few. Although she was born in San Juan, Puerto Rico and lived there until she was 5 years old, Corelle considers Colorado to be home. She received her B.A. from the University of Colorado at Boulder in 2002, and then went on to law school and received her J.D. from the University of Arizona, James E. Rogers School of Law in 2007. She is a mother of twins in the Denver Language School’s Spanish program and is delighted to see their progress. From her own personal experience, Corelle places a high value on bilingual education and the benefits that will inevitably follow anyone who is fortunate enough to have learned multiple languages at an early age. Parker is a public finance attorney with Sherman & Howard L.L.C., working out of the firm’s Denver office. Parker’s law practice involves the legal and tax aspects of financings for a wide variety of public infrastructure projects. Parker has been actively involved in social service organizations in his home state of Nebraska, having served on the boards of directors of Lutheran Family Services of Nebraska (and its foundation) as well as the Nebraska Methodist Hospital Foundation. Parker, his wife Alanna, and their three children (one attending Colorado School of Mines, one attending the University of Colorado-Boulder, and the youngest of which is a sixth-grader in the DLS Spanish program) recently relocated to the Denver area. Parker holds a B.S. in Civil Engineering from Loyola Marymount University in Los Angeles and a law degree, with distinction, from the University of Nebraska College of Law. Parker is admitted to practice law in Colorado, Nebraska and Iowa. Parker completed the undergraduate Spanish curriculum on a non-degree basis at the University of Nebraska at Omaha. He has traveled extensively in Latin America, having recently spent time in Guatemala, Nicaragua, Costa Rica, Honduras and Colombia. Dave is a Partner in the Intellectual Property (IP) Group of Perkins Coie LLP, an international general practice law firm with offices throughoutthe U.S. and Asia. Dave has an undergraduate degree in Education and Social Policy from Northwestern University, another undergraduate degree in Computer Science from Michigan Technological University, and he received his law degree from the University of Colorado School of Law. Registered to practice in Colorado and before the U.S. Patent and Trademark Office, Dave primarily represents start-up and multi-national corporations in handling patent matters involving computer, software, aviation, and telecommunications technology. Dave is active in Colorado’s legal community, recently serving as the Chair of the IP Section for the Colorado Bar Association, and presently serving on its Board of Governors. Dave is also a Board Member of the Silicon Flatirons Center, an interdisciplinary innovation program at the University of Colorado that serves students, entrepreneurs, policymakers, and professionals at the intersection of law, policy, and technology. 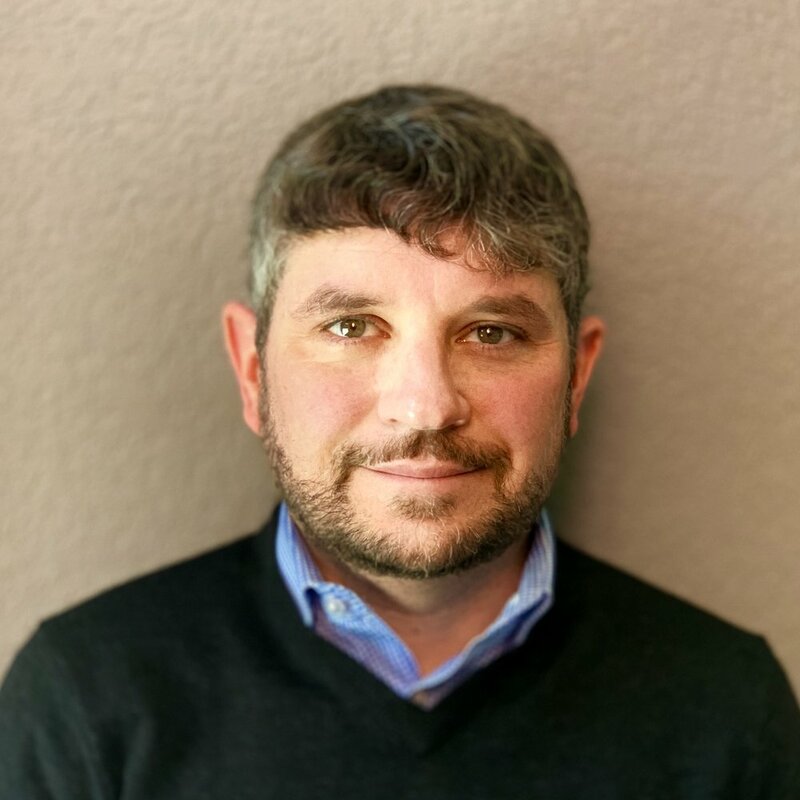 Additionally, Dave is a Growth Advisor with the Blackstone Entrepreneur’s Network and serves on the Economic Development Council for the Downtown Denver Partnership. Dave is the father of three boys in the Mandarin program at Denver Language School. He and his family live in Stapleton. Susan Hennessy has extensive nonprofit experience, launching her career more than two decades ago at the Denver Center for the Performing Arts. As the Director of Event Sales and Marketing, the Seawell Ballroom facilitated more than 200 events a year as a premier venue for celebrations of all kinds. She eventually moved into the realm of education, designing and navigating the 150th Anniversary events and marketing presence for St. Mary’s Academy, the longest running organization in Colorado. She volunteers her time and talents that support her children’s schools, community support and programs that give direct access to those in need. Susan is passionate about creative environments ripe for students to navigate their own learning experiences through curiosity, query, collaboration and exploration. DLS is a natural place for Susan to contribute her skills in marketing, planning, and engaging the community to design its sustainable future. Her British husband, their children on scholastic journeys in Seattle and Liverpool, contribute to Susan’s humble awareness that travel is the true educator, and we create a Passport to the World. Shawna Mounsey is a fundraising and event planning professional with more than 16 years of experience. Her background in public relations and the nonprofit sector give her valuable insight in producing events that consistently meet organization objectives and exceed expectations. Mounsey is the first ever Vice President of Development for Minds Matter of Denver, a college-access organization that is 100% successful helping high-achieving, low-income high schoolers get into to college with scholarships. As only the second full-time hire in the organization's 14-year history, Mounsey is instrumental in building relationships with its supporters, expanding its fundraising base, and building awareness for its 10-year plan: All Our Kids in Colorado Earn College Choice. A Denver-native, spends her free time visiting the mountains and new restaurants with her husband, daughter, friends and family. Mounsey has her BA in Communications from the University of San Diego, and a MA in Communications from the University of Colorado–Denver. Dr. Faye Caronan is an associate professor and the current chair of the Ethnic Studies Department at CU Denver. Her research takes a comparative approach to the study of U.S. global power. Her first book, Legitimizing Empire: Filipino American and U.S. Puerto Rican Cultural Critique, examines comparatively Filipino American and U.S. Puerto Rican cultural critiques of empire in order to better understand and contextualize contemporary implications of U.S. empire. Her current research focuses on the legal fragility of U.S. territorial citizenship, including the legal obstacles faced by ethnic Chinese Filipinos who migrated to the United States as U.S. Nationals during the era of Chinese exclusion. Faye is also an avid language learner, herself, and has studied advanced Spanish, Mandarin, and Filipino. She also studied the Filipino language in Manila as part of the Advanced Filipino Abroad Program organized by the U.S. Department of Education, and in Madison, WI, where she became a connoisseur of cheese curds and fresh ice cream. Faye is also the proud parent of a current DLS student in the Mandarin program and two future DLS Dolphins. Bryan works as a financial analyst for SRS Acquiom; the leader in private mergers and acquisitions consulting, shareholder representation, payments administration and escrow solutions. Previously he spent 17 years at Janus Capital in a variety of roles, from trading to corporate finance. He holds a B.S. in Business from the University of Colorado at Boulder and a MBA in Corporate Finance from the University of Colorado at Denver. He has been active with a number of nonprofit Boards, including eGo Car Share and Skyline Soccer Club. Bryan grew up in Boulder, and while currently living in Denver, his heart will always be near the Flatirons. He has one daughter in the Spanish program at DLS and is thrilled to see her thriving in a bilingual community.